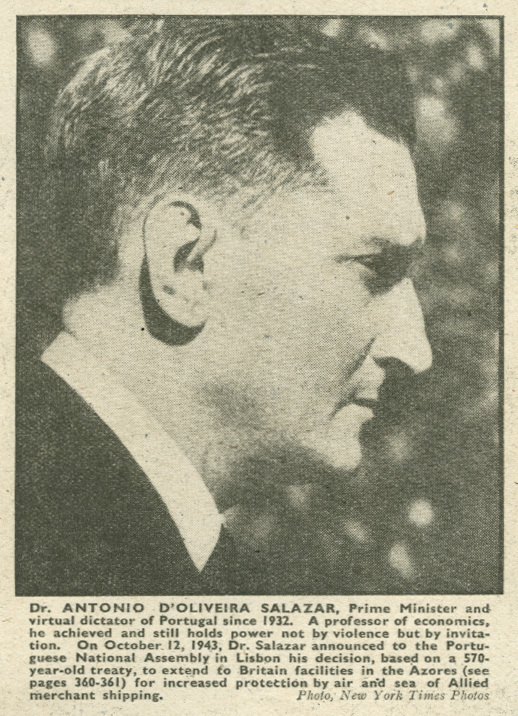 Pouco antes das 10H00 da manhã de 19 de Fevereiro de 1942, o Japão dava aquele que foi muito provavelmente o primeiro passo para a invasão de Timor. Acerca deste acontecimento, o jornalista e investigador Paul Cleary escreveu no The Australian um artigo do qual vale a pena transcrever aqui uma parte. A nota ao primeiro parágrafo é da autoria do também investigador Ernie Chamberlain a quem agradecemos o contributo. 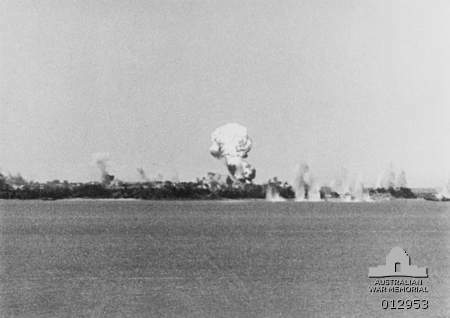 The Japanese knew that the destroyer, the USS Peary, was anchored in Darwin, and they mistakenly believed large numbers of B-17 and B-24 bombers from the US Air Force were stationed there as well. The Japanese planes sank the Peary along with seven other naval and merchant ships, but they failed to find any bombers. Instead, there were only a handful of Kittyhawk fighters from the US Air Force, most of which were destroyed. 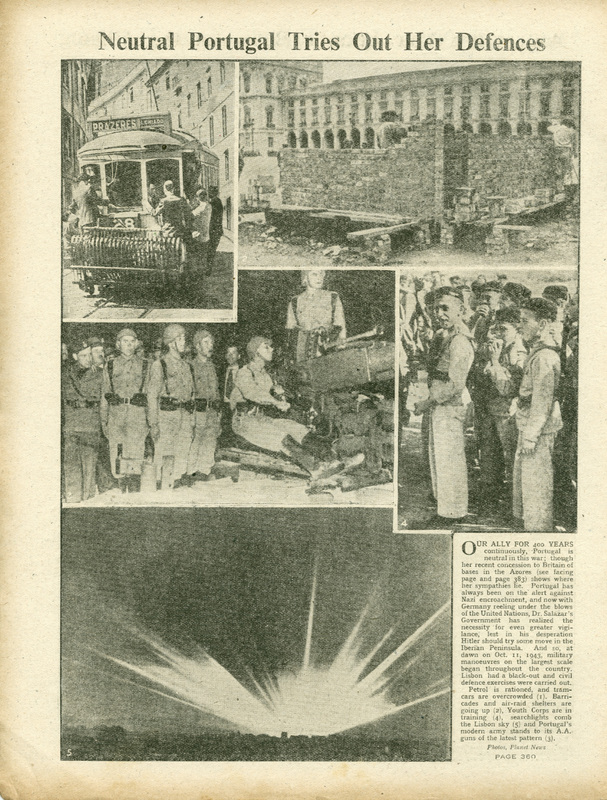 In all, 252 people were killed in the bombing of Darwin. 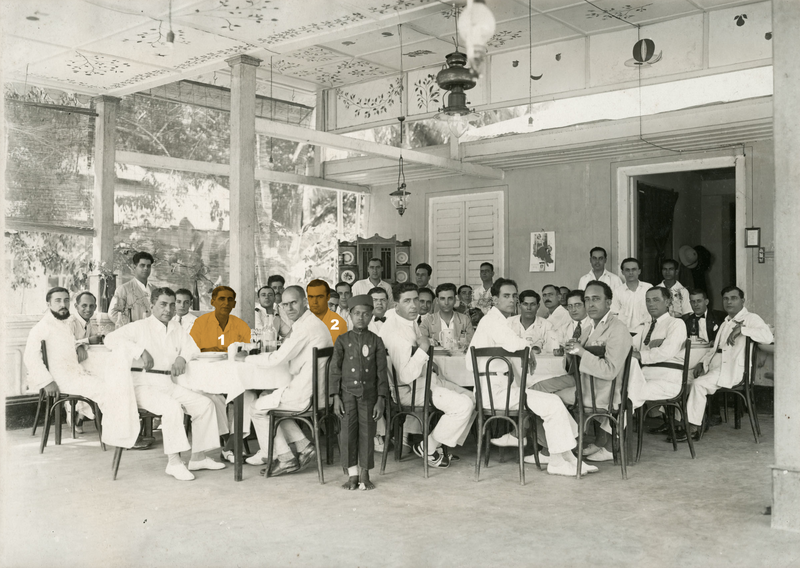 From 10pm that same evening, the Japanese landed about 5000 soldiers, naval marines and paratroopers south and east of Kupang, the capital of Dutch Timor, where 1100 troops from Australia’s Sparrow Force were based. 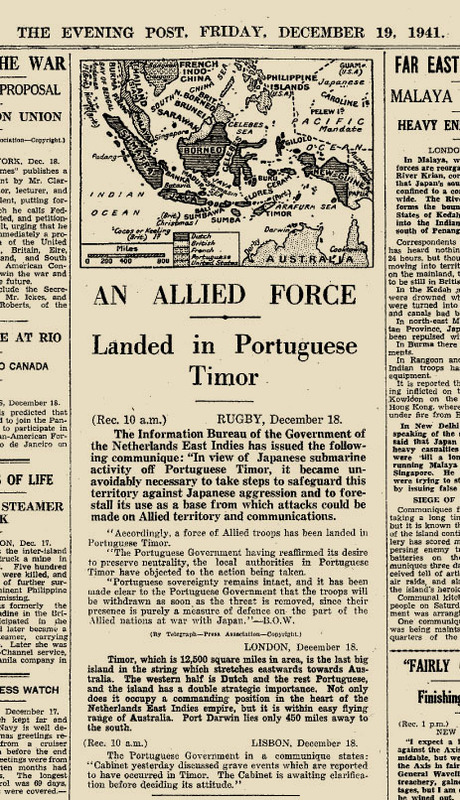 At about the same time, the Japanese landed another 1000 troops in Dili, the capital of Portuguese Timor, where 270 men from the 2nd Independent Company – a special forces unit – had landed despite the protests of the neutral Lisbon government. Timor was as important to Australia’s defence as New Guinea because it could be used to launch attacks on northern Australia. It was vital to the Japanese. In Allied hands, it could be used to launch an offensive against Japan’s forces in Indonesia, then known as The Netherlands East Indies. Japan’s official history of World War II, published in the late 1960s, makes these facts clear. The records are written in Japanese. 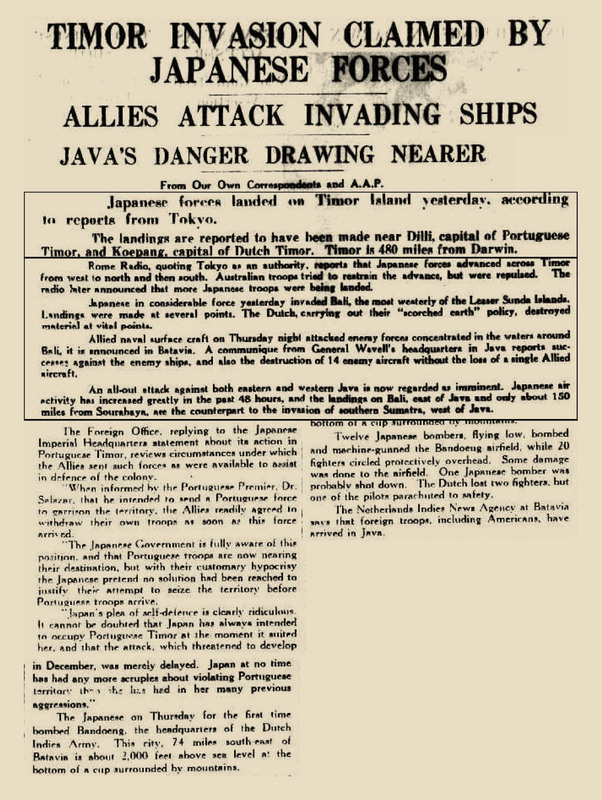 ¹ – The first Japanese air attack on Darwin on the morning of 19 February 1942 involved 188 Japanese carrier-borne aircraft – followed by a second attack wave later that morning of 27 aircraft from Kendari (Sulawesi) and 27 from the island of Ambon. 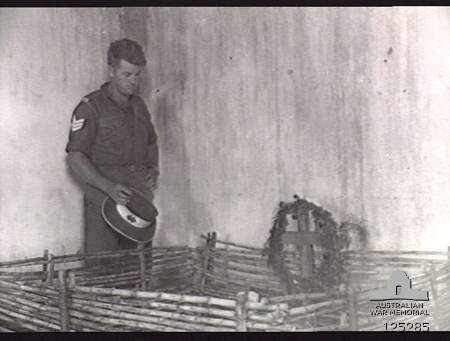 Over 250 Australians were killed in the first raids. After the 19 February 1942 raid, the Northern Territory and parts of Western Australia’s north were bombed 62 more times between 4 March 1942 and 12 November 1943. The four Japanese aircraft carriers (Akagi, Kaga, Hiryū and Sōryū) that participated in the Bombing of Darwin were later sunk during the Battle of Midway in June 1942.